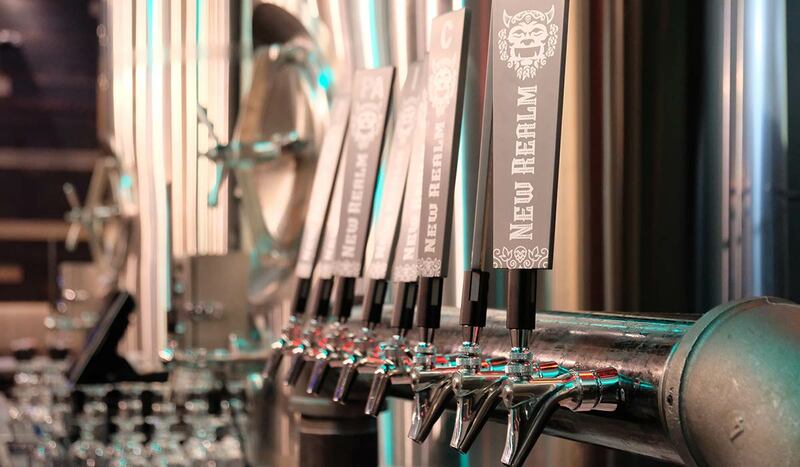 One of Atlanta’s newest breweries, New Realm Brewing Company in the Old Fourth Ward district, knows how to make a grandiose impression within its first few months of operation. As if the buzz about the founding team of Carey Falcone, Bob Powers and iconic brewmaster Mitch Steele (formerly of Stone Brewing) erecting the largest independent brewery opening in Georgia’s history at 40,000 square feet wasn’t enough, the Realm squad continues to make headlines since opening its doors on January 8 of this year. They just announced that they purchased the brewing equipment from Green Flash Brewing Company’s facility in Virginia Beach to boost capacity and produce a wider range of sipping options. 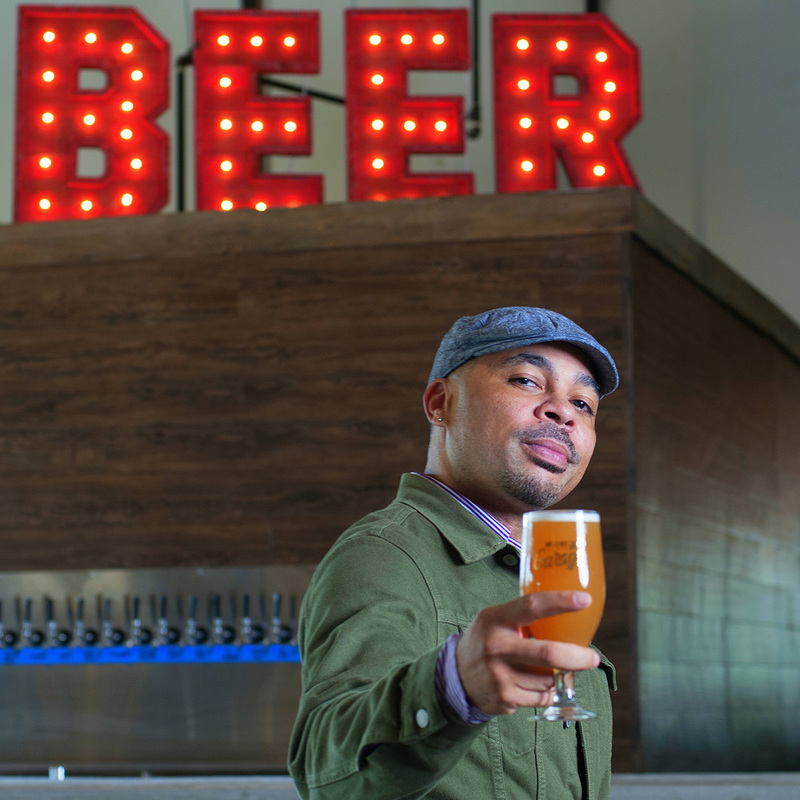 The word “enterprising” in New Realm’s four-month span would be an understatement; even their beer garden along Atlanta’s burgeoning Eastside Beltline has yet to be completed, but they still couldn’t pass on the Virginia deal. But to put their growing local fan base at ease regarding the recent acquisition, New Realm isn’t going anywhere. To gain a little more in-depth information about what the New Realm team has in store, Falcone provided CraftBeer.com with an exclusive interview to address their current status and future endeavors. Ale Sharpton: With all the moves New Realm has been making, talk about your status in terms of meeting projections so far. Carey Falcone: We are very fortunate that fans of New Realm are asking for more and we have significantly exceeded our expected beer volume. We ordered 60-barrel expansion tanks for our Atlanta facility and hired additional brewers, but the reality is we are both constrained regarding space and capacity. We needed a plan to brew locally in the Southeast; this new equipment presents an incredible opportunity to expand our capacity in a meaningful way while staying committed to our roots. AS: Where do you plan to set up the newly purchased equipment? CF: We’re still in the process of exploring our options, but it will remain in the Southeast. We have no aspirations to be a national–or even regional–brand. Importantly, we are committed to only selling our beers in states where we both brew and are an active member of the community. AS: What beers have been the most popular so far and what styles do you want to brew more of? CF: Our two most popular beers have been our classic American IPA, Hoplandia, and our German-style Pilsner, Euphonia, which have both recently been released into cans. Quickly gaining popularity is our latest IPA, Hoptropolis, which is an extremely well-balanced, fruit-forward IPA that finishes with a soft bitterness. The new equipment will enable us to increase our ability to innovate and create new beers. We have a list of innovative brands and styles scheduled for our pilot system including a whiskey barrel-aged stout and Belgium triple, gose, Berliner Weisse and a Mexican lager. New Realm’s beers can be found at its current brewing headquarters at 550 Somerset Terrace NE #101, Atlanta, GA 30306. You’ll also find New Realm beers pulled from taps at nearby bars and restaurants and in cans for retail throughout Georgia.